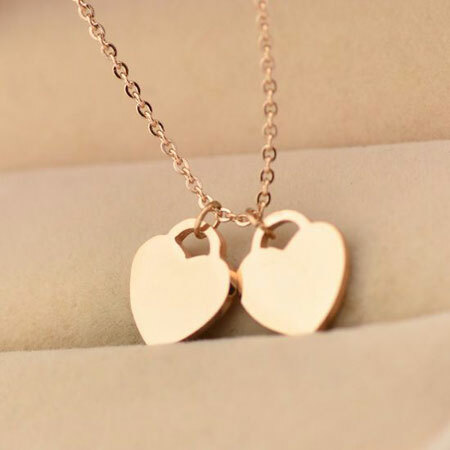 This stylish 18K Rose Gold Heart Necklace for girlfriend is on sale now! 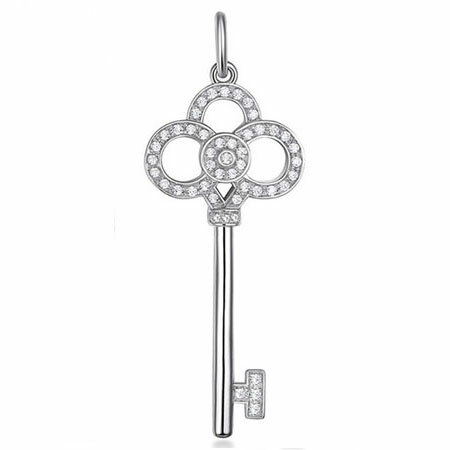 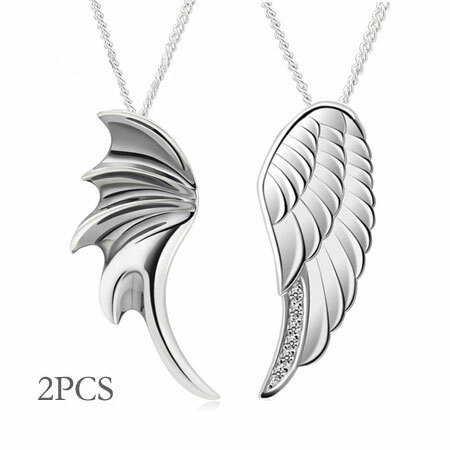 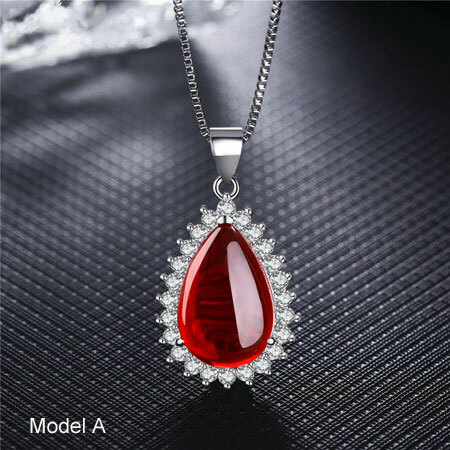 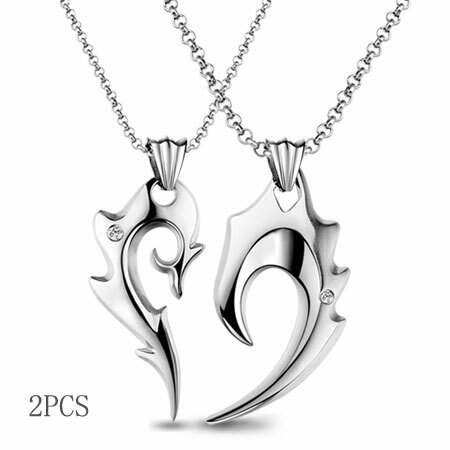 It is made of two pcs of heart pendents with fine details. 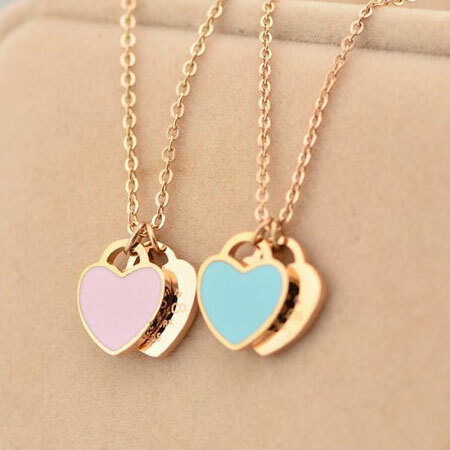 Unique two tone designed of pink and blue heart pendent create an elegant look for women. 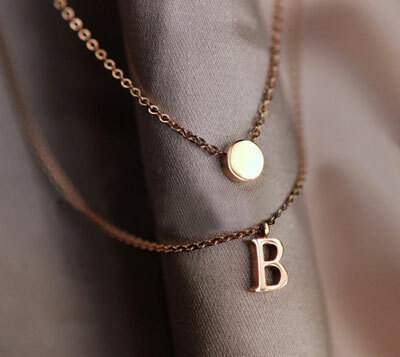 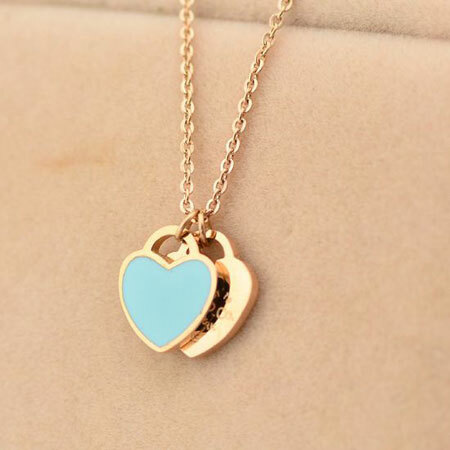 This superior quality half heart necklace looks like really gold. 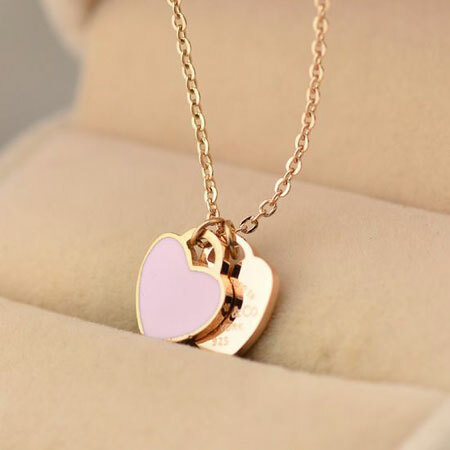 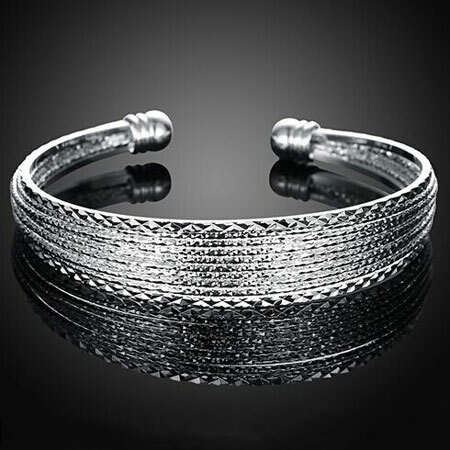 It will be great gifts for girlfriend or couples.